Last summer I was lucky enough to see the stage production of Warhorse. The puppets used in this incredible show were like nothing I’d ever seen – every movement of the horse’s legs were perfectly timed and the flick of its mane amazingly realistic. And yet, the ‘horse’ was a wire frame, you could see the puppeteers and the whole thing was strangely mechanical and very natural at the same time. 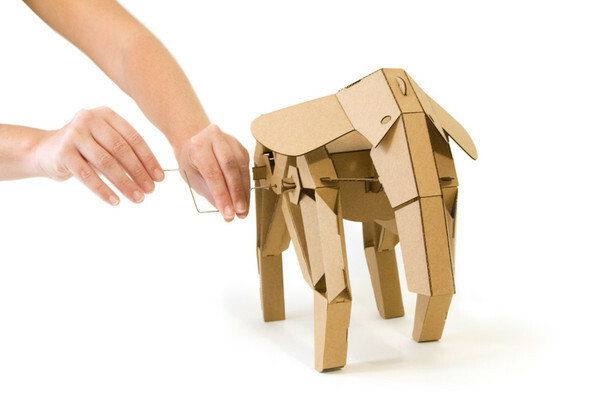 I was reminded of the ‘mechanics’ of the Warhorse puppets when I saw these beautiful walking cardboard animal sculptures by Kinetic Creatures. There are three animals in the collection – Elly the Elephant, Rory the Rhino, and Geno the Giraffe. 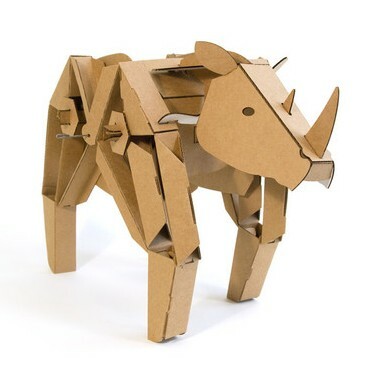 Each is made up of cardboard pieces that you assemble using tabs-and-slots (no glue or tools required). As a standalone piece they are beautiful however, with the simple turn of a wire handle, the creatures come alive and walk. If turning a handle is all too much, you can add a Kinetic Creature Motor Kit that allows the animals to walk on their own or alternatively the creatures can be powered by Lego motors. See the animals in action in this short video. 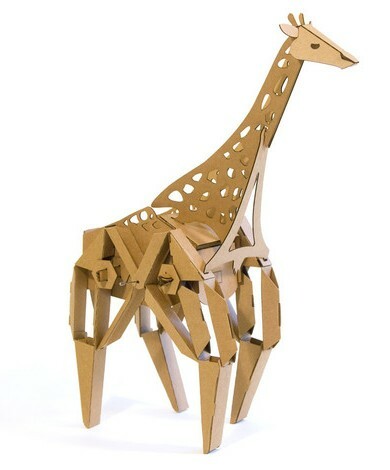 Kinetic Creatures are priced from US$39.95 and can be shipped internationally. If you’re curious about the puppets used in Warhorse, see our previous post about the Handspring Puppet Company.